When Dorothy triumphed over the Wicked Witch of the West in L. Frank Baum’s classic tale, we heard only her side of the story. But what about her arch-nemesis, the mysterious witch? Where did she come from? How did she become so wicked? And what is the true nature of evil? Gregory Maguire creates a fantasy world so rich and vivid that we will never look at Oz the same way again. “Wicked” is about a land where animals talk and strive to be treated like first-class citizens, Munchkinlanders seek the comfort of middle-class stability and the Tin Man becomes a victim of domestic violence. And then there is the little green-skinned girl named Elphaba, who will grow up to be the infamous Wicked Witch of the West, a smart, prickly and misunderstood creature who challenges all our preconceived notions about the nature of good and evil. 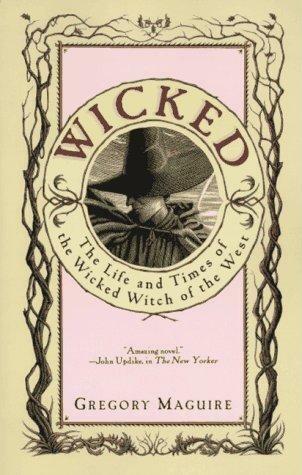 Project Fairy Tale continues on the blog with a review of Gregory Maguire’s novel, Wicked. I’m not going to lie to you, this is a hard book to read. In fact, when I tried to read it years ago I was still in high school and I could not understand it. I honestly had no clue what was going on. Then I saw the musical (twice) and realized that something so magnificent had to of stemmed from something equally amazing, so I picked the book up again. This time, I was in college and loads smarter than my high school self (HA!) and was able to better understand the layers of this story. This is not the Oz that readers know and love from the novels by L. Frank Baum. To begin with, The Wicked Witch of the West isn’t so wicked. Instead we see her as a child named Elphaba, her green tinge is explained in a really interesting twist and we watch her attempt to stand up for the rights of citizens of Oz, both human and Animal. As readers we are able to take a glimpse into the lives of Elphaba and Galinda and see how they grew together, and apart. For readers expecting to read a fairytale retelling with the same childish merit as Oz, this book is not for you. In Wicked, things are not so black and white, the characters are layered and most importantly, flawed. This book is not filled with happy endings, in actuality, many of the endings are rather harsh and unnerving. There are conclusions, but mostly there are threads left unraveled writhing in the wind. There is friendship, but mostly there is loneliness. There is love, but mostly there is heartbreak. This is not an easy novel to read, it is political, and at times gruesome and downright confusing. However it is also imaginative, dark, and deeply perceptive, as if the book looks right into the deep recesses of your soul. Let it be known that to appreciate Wicked, it takes close, intense reading, and it isn’t a novel that you can pick up and finish in a day. It is a story that you need to process over time to fully appreciate, but if you take the time you will see what a brilliant storyteller Gregory Maguire is and at the conclusion, you will never look at Baum’s Oz the same again. 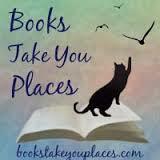 This entry was posted in Event, Project Fairy Tale, Reviews and tagged fairy tales, retellings, The Wizard of Oz. Bookmark the permalink. Reblogged this on Mademoisellelayla's Mind. Great review, although the book sounds like a complicated read. I haven’t read the book, but I fell in love with its musical! I’ve been dreaming to watch the musical, so when I found out they’re doing a show in Singapore, I took the opportunity to fly there and watch it. I think I got addicted to the songs for a while, playing them over and over. Hahaha! I *might* have the soundtrack in my cd player in my car right at this moment…POPULAR…YOU’RE GONNA BE POP-U-LAR! I 100% agree with you..it’s one of those difficult novels that I have come to admire more over time! It is VERY dark and the end is very sad! The end was so sad..I am reading the last book in the series and I just keep hoping she comes back LOL have you seen the musical? I tried to read this a few years ago, but gave up on it. I just wasn’t enjoying it, although I didn’t read far into it. I do LOVE the musical though, and have seen it three or four times. Once on Broadway, and then touring company. That’s awesome that you were able to read this one though. I just couldn’t do it. It took me a few tries!! I am reading book 4 right now and it is also a doozy but also SO entertaining! I think my experience with Wicked ended up being very ‘right book, right time’, as I absolutely adored it (I read it the year after I graduated from college). I’ve definitely heard from others that it was hard to get into though–I loved the political aspects and how heartbreaking it was. I haven’t read the rest of the series at all though…not sure why, just not that interested? I actually am liking book 4 the most I think…book 2 was kind of a filler that I didn’t love and book 3 was more interesting and there were some twists that KILLED me, I actually can’t wait to write my review for that one! I read this while in grad school and really loved it, but I agree it was more difficult to read. There were just so many complex characters, and I loved seeing all these people we thought we knew in a totally different light. I saw the musical last year and honestly, I could watch it over and over again! This is really one of my favorite retellings! I LOVED the different portrayal of the characters…and how Maguire made them so…human? If that’s the right word. The musical is PHENOMENAL. I’ve seen it 3 times!